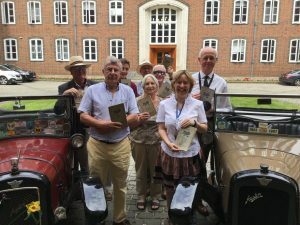 On Thursday 21st July 2016, members of the Archive Project were joined by staff from Hampshire County Council and Austin Seven Owners in Winchester for the handover of the first batch of digitised material. 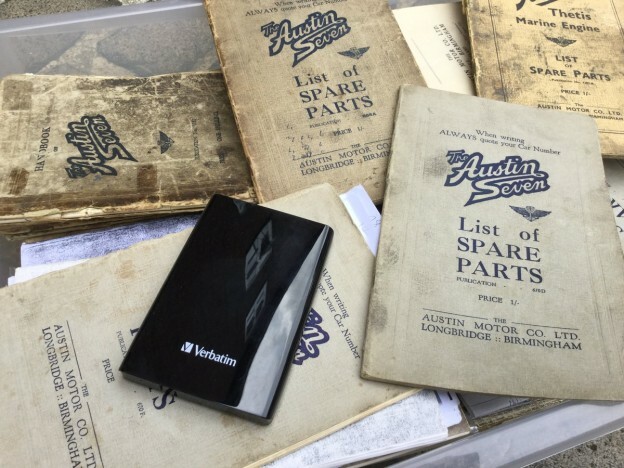 This marks the beginning of the digitisation of materials from the Archive in Lubenham. All the original material will be available for viewing at the Open Day in August. This entry was posted in ArchiveProject, Association, News on 25th July 2016 by Chris Charles.